How did you ‘celebrate’ World Day Against Child Labour on Tuesday, 12th June? Were you even aware that, on June 12, hundreds of thousands of people around the globe were working to raise awareness of, and focus attention on, the global extent of child labour and what we as a global community need to do to eliminate it. Did their message reach your corner of the world? If so, was it effective in silencing the daily demands that swamp you? Was it able to focus your attention on the plight of the estimated 215 million children (127 million boys and 88 million girls) trapped in some kind of heinous child labour role RIGHT NOW … who need our help? Did it inspire you to do something to help those 215 million children? And especially, to help the 115 million who are being subjected to ‘the worst form’ of child labor RIGHT NOW? The World Day Against Child Labour, launched by the International Labour Organisation (ILO) in 2002, is celebrated each year on June 12, with the very worthwhile target of eliminating the ‘worst forms’ of Child Labour by 2016. The UN’s latest figures estimate that of the 215 million children (127 million boys and 88 million girls) currently trapped (RIGHT NOW AS YOU READ THIS) in some kind of child labour, 115 million are trapped in ‘the worst form’ of child slave labour. It’s quite shocking, especially when you realise that 115 million children subjected to slave-labour is a number greater than the total number of children, under the age of 18 years, living in the United States today. 215 million! That’s quite a number! And it’s so easy to say it without giving it too much thought. 215 million … 215 million… 215 million. So, just how many people is 215 million … 215 million children to be more precise? According to the US Census Bureau Population Clock it’s equivalent to approximately 3/4 of the total population of the United States, which at June 2012 is nearly 314 million people. For my Australian friends, 215 million people is 10 times the total population of Australia. That’s quite a substantial number of people …. children! The Real War Against Child Slave Labor Is Against Our Complacency! Abolishing the “worst forms’ of child slave labor means ensuring the world’s children achieve freedom from exploitation, and remain free. For this to happen the people and governments worldwide need to work to persist in keeping children’s rights in the headlines, under the spotlight, and on the table. If we are serious about putting an end to the ‘worst forms’ of Child Labour by 2016, we need to overcome any complacency and take a stand. We need to decide to play a part, however small, in ending Child Slave Labour. And it’s surprisingly easy to get involved. There are some very simple actions we can take. For example, if you’re a chocolate lover like I am, you might commit to only consume chocolate products where the chocolate used is fully certified to be Fair-Trade and Child-Labor-Free. The internet makes it very easy to check on food, clothing or household goods purchases, to ensure they’re free from illegal child slave labor practices. And there are growing numbers of organisations producing apps and websites which make this information freely and readily accessible. If you have a favourite organisation, app, website or forum that helps you make child-friendly buying decisions, please feel free to share the link with us in the comments box below. If you have any suggestions of things we can do to help these children, please feel free to comment below. Considering some of the circles I rub up against I find it amazing that I hadn’t heard about it well before the 12th. I’ll help by sharing this post. This is a great cause. 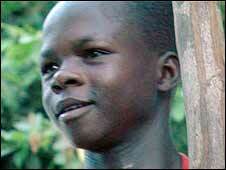 I admire your course of actions to raise the awareness of child slave problem in many countries. To stop this, an international treaty and law must be passed through The United Nations. We may be able to do something through Clinton Foundation. Thanks for the very informative blog post about child labor. I didn’t know June 12 is child labor day. Here in the Philippines, it is somewhat overshadowed since we celebrate our Independence Day on the same day. And I think we should regard it at least of equal attention considering the Philippines is a developing economy struggling to end poverty. 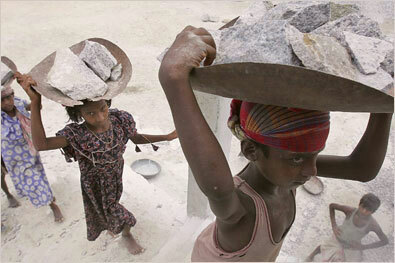 And child labor is one of the many problems that needs to be addressed. Thanks for sharing !! Glad to shared all my ways !! Reblogged this on Sandor Benko's Reblog Blog 😉 -> On to FireYourBossProject.com for full blog!. great article Gaye! I am hoping that with the aid of people like you, who make other people aware of what is going, an end to the problem will soon be found. Sobering article. Is there a site that lists concrete actions people can take? (i.e. buy fair trade chocolate/coffee and similar actions that are within our reach.) It’s almost impossible to fathom making a difference to 215 million children, but translating it into actionable steps helps. So terribly heartbreaking. Thank you for helping raise awareness and giving us something so well done we can share to help as well in some small way. UGH! You’d think by the 21st century people would not only be more humane, but more civilized!